International Paralympic Committee (IPC) President Andrew Parsons will pay tribute to the late British scientist Professor Stephen Hawking during his speech at the Closing Ceremony of the Pyeongchang 2018 Winter Paralympic Games, it has been confirmed. Hawking, famed for his work with black holes and relativity, died peacefully aged 76 at his home in Cambridge in the early hours of Wednesday (March 14). IPC media and communications director Craig Spence told a press conference that Parsons will be referring to Hawking in his speech at the Closing Ceremony, which is scheduled to take place on Sunday (March 18). “Sometimes in society there is a wrong perception that if you have a disability it is a negative word and you can’t do something, but Stephen Hawking turned that upside down and showed that, despite the fact he had Motor Neurone Disease, he could still excel in his field of work,” Spence said. “The obstacles put in front of him, he came up with solutions to those. 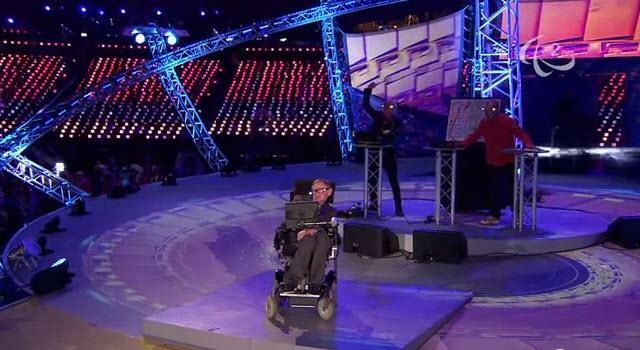 In 2012, Hawking delivered an inspiring speech as part of the Opening Ceremony of the Paralympic Games in London. He gave the world a global message of hope and optimism as he urged people to be curious and create a brave new and better world for everyone by challenging perceptions and stereotypes that limit the potential of humans. It left him in a wheelchair and largely unable to speak apart from when doing so through a voice synthesizer.